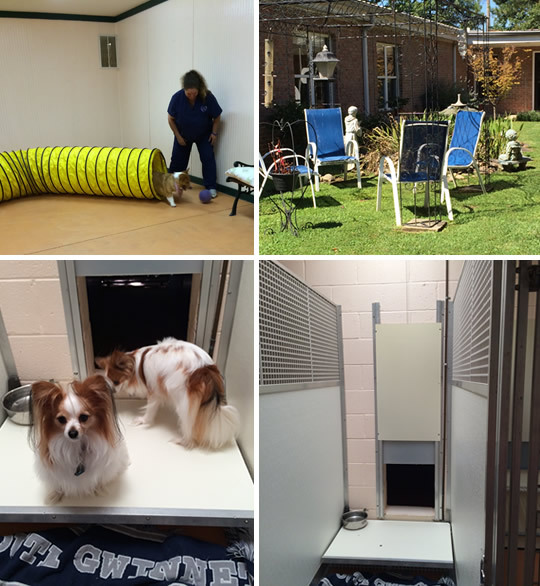 For Boarding, we require that all dogs and cats are current on vaccinations for the safety of our staff and other pets in boarding. When scheduling or dropping off for Boarding or Dayplay, please provide current and up-to-date vaccine information on all pets. If none is provided vaccines will be given accordingly with a Doctors visit. Also we do require that all pets be on flea and tick prevention as this is Prime season for fleas and ticks. Indoor/Outdoor runs, single dog and family dog runs, supervised romper room time, nature walks, treat balls, cuddle time and more! 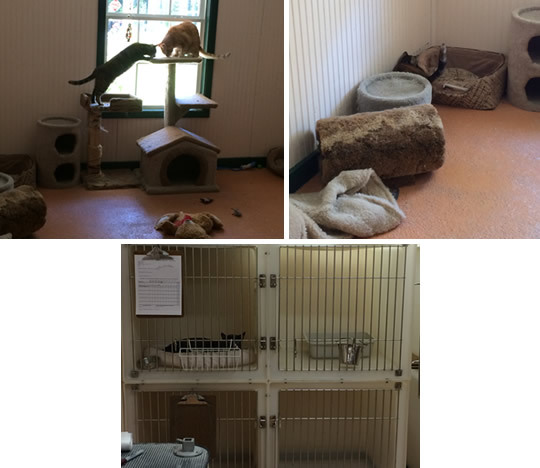 Separate & quiet cat room, romper room time, cuddle time, and happy hour with cat nip, feathers and toys.